Your Patient Requests You to Complete a Form to Obtain a Firearm: Risk Management Considerations | American Professional Agency, Inc.
A newsletter designed to address legal and risk related issues that psychiatrists encounter. Your patient who you have been treating for bipolar disorder for 5 years comes for his regularly scheduled monthly appointment and has a form he wants you to complete so that he can purchase a gun. The form asks you to attest that the patient is fit to be able to obtain the gun. Your patient has had periods of time where he has discontinued medications, has been previously hospitalized, but has been stable for approximately six months. However, you feel uneasy about completing the form. Can you refuse to complete the form for the patient? This is not an uncommon issue that may occur. The psychiatrist may be involved because: 1) The patient is looking to purchase a new firearm and the state requires a form to be completed by a provider or 2) The patient has been previously hospitalized and is looking to have their weapons access reinstated. There may be a variety of reasons why a patient is seeking firearms access: the patient may be an avid hunter, is looking to have his weapon for that purpose or the patient is looking for protection within his home, among others. Many issues may come up including the patient’s present state and whether the psychiatrist can predict future behavior/actions by a patient. If the psychiatrist declines to complete the form, this could also potentially impact the doctor/patient relationship and may be troublesome to the patient. This certainly can be a difficult and daunting issue. States have varying rules on firearm access and ownership. This is certainly an area of the law that changes frequently. Therefore, it is important to not only be aware of the federal law on firearm access but also the law in your state, particularly if the laws are more restrictive than the federal law. If you have questions, consult your risk management professional or attorney. Possession of a firearm by persons with mental illness is regulated by both state and federal laws. Under federal law, “…it is unlawful for any person to sell or otherwise dispose of any firearm or ammunition to any person knowing or having reasonable cause to believe that such person “has been adjudicated as a mental defective or has been committed to any mental institution.”3 Potential purchasers are screened through National Instant Criminal Background Check System (NICS). The Obama administration implemented legislation where more mental health records would be added to NICS and was aimed to keep those with mental illness who obtain social security disability payments from obtaining weapons. 4 This was repealed via Executive Order under the Trump administration in February 2017. If a patient requests that you complete a form or provide a letter of support to obtain a firearm or have their firearm access reinstated, it is always best to obtain advice before completing. A patient may be stable at the present time, but not necessarily next month or next year. 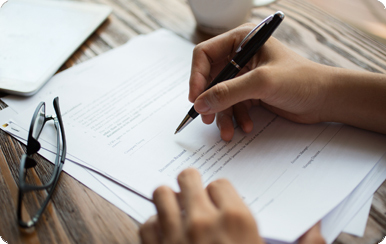 Should you consider completing a form, it would be important to note your current impressions, and refrain from attempting to predict the patient’s future potential behavior. If you “sign off” for weapons access, it is also important to consider who else is in the home may have access to the gun/weapon. For example, if there are children or others within the home that may have mental illness or substance use issues and you have concerns that there could be potential for harm. Can You Ask About Weapons Ownership? Determine your office policy and procedure. If in a state where sign off is needed by a physician, determine if you feel comfortable/confident in completing paperwork for patients. Consider implementing a policy where you do not sign off for any patient. Do you determine on a case-by-case basis? Do you decline to sign off but recommend that the patient consult a forensic psychiatrist? Keep in mind, you do not have to complete the form or provide written support for the patient to access a firearm. It is important, however, to determine what your practice policy is before confronted with the issue. Consider whether you have sufficient education, training and experience to sign off. Determine what relevant coursework or training you may need. Consider if you sign off and then law enforcement contacts you to discuss care and treatment. It is important to be aware of your obligations under HIPAA and state privacy rules before releasing any patient information. 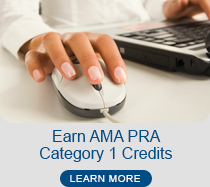 Know whether you would need a specific patient authorization to discuss the patient’s care. Be aware of the potential for liability if you sign off and the patient later commits an illegal act with the firearm. It is important to know whether or not you may be immune from civil liability within your state. Know what the laws are on gun ownership/access within your state and federally. Consider who else is in the patient’s home and may have access to the weapon. This includes children, other persons with mental illness or substance use disorders, those with diminished capacity, or those at high risk for suicide and violence. Keep in mind that safety always comes first. If you have questions, consult a risk management professional or an attorney. Determining whether you should complete a form or assist a patient in obtaining a firearm may be a difficult issue to resolve. It may be a clinical decision based on the issues presented and is patient specific. It is important, however, to determine what your office policy will be on whether you will assist all, some or no patients with their requests. When faced with this issue, it is prudent to consult with a risk management professional or attorney. Kristen M. Lambert serves as the lead for risk management for professional liability policyholders and specialty programs. She specializes in risk management services for psychiatric providers and the behavioral health areas. Prior to joining Allied World, Kristen practiced as an attorney focusing on health law matters including medical malpractice defense. Kristen is admitted to the bars in Massachusetts and Connecticut and the U.S. District Court in Massachusetts. Kristen also has worked as a clinical social worker in community and tertiary hospitals as well as community mental health settings. 1 Harvard School of Public Health Special Report, “Guns and Suicide: The Hidden Toll,” Spring 2013. 2 Review the APA position statement: Position Statement on Assessing the Risk of Violence. www.psychiatry.org/…/Position%20Statements/ps2012_ViolenceRisk.pdf. 3 18 U.S.C. § 922(d). 4 20 CFR 421. https://www.federalregister.gov/documents/2016/12/19/2016-30407/implementation-of-the-nics-improvement-amendments-act-of-2007 [last accessed 5/26/17]. 5 Goldstein, Adam, M.D., M.P.H., et al, Assessing Competency for Concealed-Weapons Permits- The Physician’s Role. N Engl J Med. 2013 June; 368: 2251. 6 American Medical Association. Advocacy Update. Issue Spotlight. https://assets.ama-assn.org/sub/advocacy-update/2017-02-23.html [last accessed 5/26/17]. 8 Wollschlaeger v. Governor of Florida, 848 F3d 1293 (2017). 9Wintemute, G., MD, MPH, et al. Yes, You Can: Physicians, Patients and Firearms. Ann Int Med. 2016; 165(3): 205. http://annals.org/aim/article/2522436/yes-you-can-physicians-patients-firearms; Mont. Code Ann. §50-16-108 Mont. Code Ann. §50-16-108 (2014); Mo. Rev. Stat. §571.012 (2015); Minn. Stat. §144.05; Minn. Stat. §62.V.06 (2015). This information is provided as a risk management resource and should not be construed as legal, technical, or clinical advice. This information may refer to specific local regulatory or legal issues that may not be relevant to you. Consult your professional advisors or legal counsel for guidance on issues specific to you. This material may not be reproduced or distributed without the express, written permission of Allied World Assurance Company Holdings, AG (“Allied World”). Risk management services are provided by or arranged through AWAC Services Company, a member company of Allied World. © Allied World Assurance Company Holdings, AG. All Rights Reserved. August 2017.